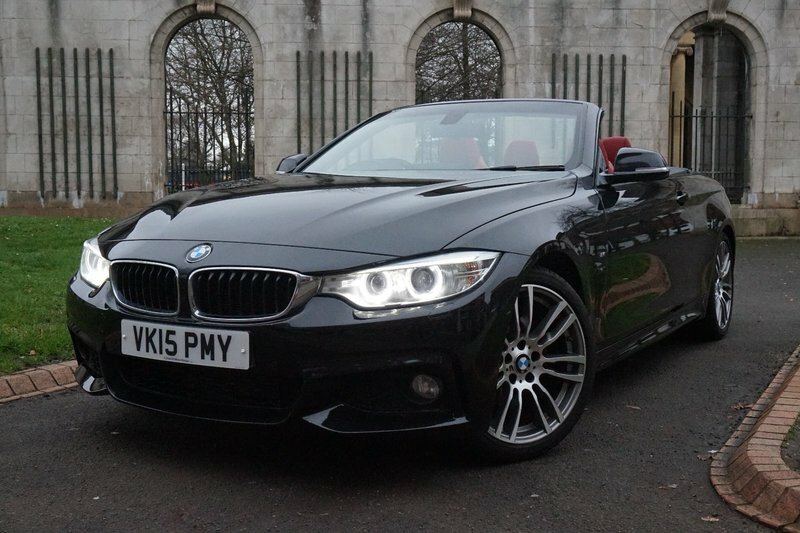 We have a fabulous example of a former owner BMW 420D M Sport Comfort Pack Convertible. Highly spec'd with Large Screen BMW Business Nav, Heated Steering Wheel, Harman/Kardon Surround Sound, 19" Star Spoke Alloys, Dakota Leather/Heated/Elec/Mem Seats, Auto-Folding Mirrors, and Cruise Control. Full BMW service history - serviced 4 times. Next service due 05/19 or 18000 miles. MOT until 28/05/19. Comes with spare key. 3 Month Warranty (can be extended to 24 months), Low rate Finance package available! PX Welcome! 12 Month AA Break Down Cover! We are open Sundays too! Please call to arrange an appointment!